Learn To Play Guitar in a Day at The Grange with Marlene Hutchinson! Ever dreamt of being on stage, in the spotlight, crowd screaming as you wail through your guitar solo? Have you ever pretended to be Jimi Hendrix or Jimmy Page? Don’t worry. I do it too. Maybe you’ve just wanted to learn to play guitar and haven’t found the time. Here’s your chance to learn to play in a day. Impossible right? Nope. Come to Learn To Play Guitar in a Day at The Grange with Marlene Hutchinson on May 6th from 10 a.m. – 3 p.m. This is your opportunity to learn to play guitar basics plus some and you’ll be well on your way to playing comfortably. You will learn basic guitar chords, strumming patterns, tuning techniques, how to read tabs, how to take care of your guitar, simple music theory, music resources, and performance skills. You’ll even get your own book and an electric tuner — trust me a tuner is necessary. It would normally take at least six weekly lessons to learn all of this. Marlene Hutchinson is an award-winning instructor. After years of teaching, Marlene created a simple method of learning to play guitar that has inspired guitarist around the world. 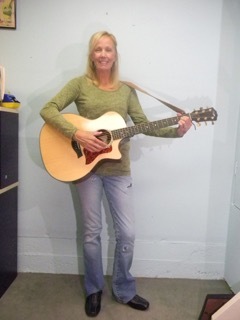 In 2009, she created the “Learn to Play Guitar in a Day” workshop to help busy adults like you and me learn to play. Learn more about Marlene and this program here. 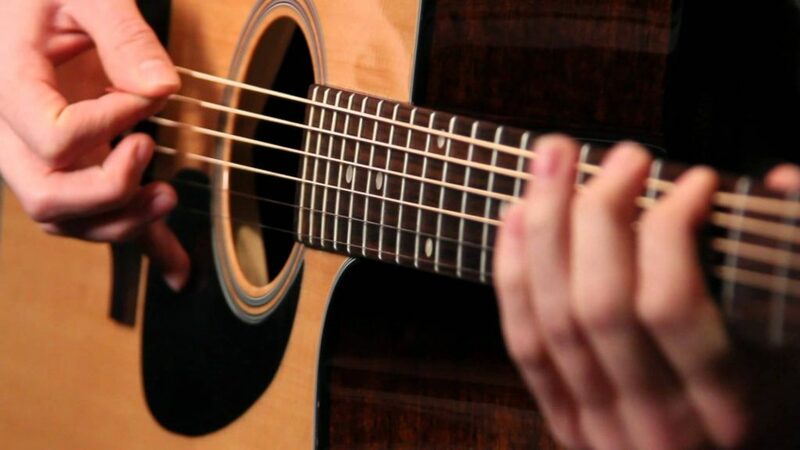 Dust off that guitar you said you were going to play and mark your calendar for Learn to Play Guitar in a Day at The Grange with Marlene Hutchinson on Saturday, May 6th from 10 am – 3 p.m. Make sure that you bring a lunch, water and of course your own guitar. If you don’t have a guitar and would like to rent one you can call Castle Rock Music at 303-688-0300. You must be 18 to join, and the cost is $115 for residents of The Meadows and $125 for non-residents. Fulfill your dream of playing the guitar and come to Learn to Play Guitar in a Day at The Grange with Marlene Hutchinson! But hurry! Space is limited. Register by April 29. Call The Grange at 303-814-2358 or click here.